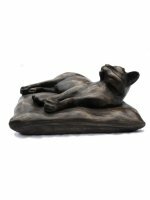 This stunning cat figure is a must for any cat lover or collector - this small bronze cat figure compliments Peter's life size work with the same attention to detail and muscular realism. 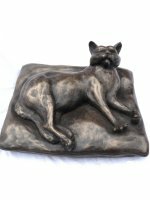 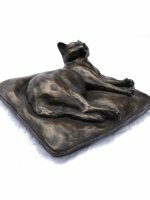 Barney on a cushion bronze cat is an unlimited or open edition this means that the sculptures are not numbered and can continue to be sold as long as there is a demand for them. 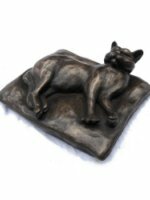 Limited Edition Sculptures will no longer be available once the edition number has been reached. 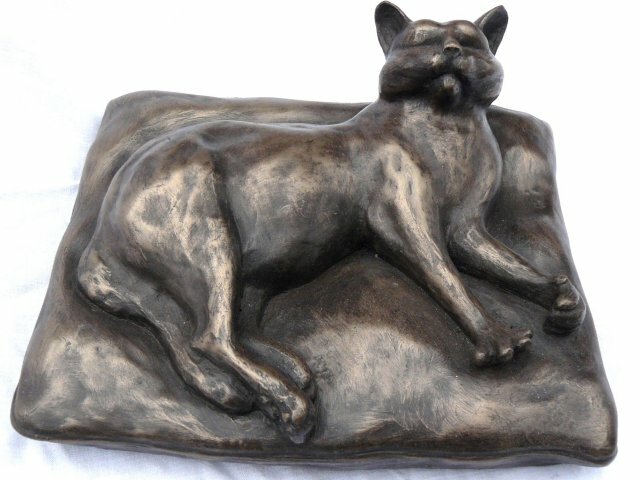 This cold cast bronze cat sculpture is made entirely by hand by sculptor Peter Close in his studio in Somerset.